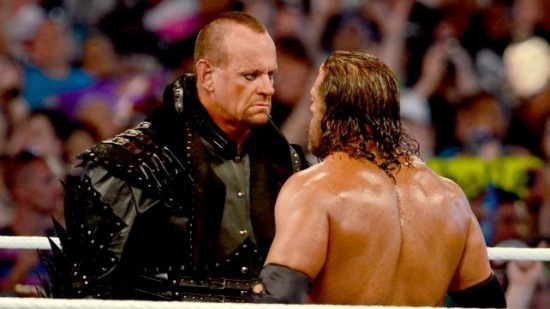 Undertaker’s Legacy Inside the Cell: What Awaits Shane at Wrestlemania? Since the match’s creation in 1997, The Undertaker has been in 12 Hell in a Cell Matches. 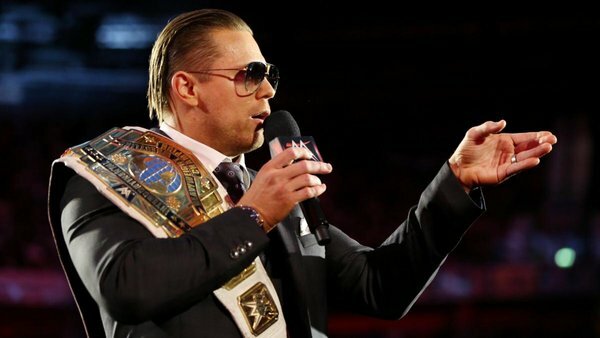 His resume includes four WWE Hall of Famers, and 12 former heavyweight champions. He’s spilled blood, sent opponents sailing off the cage, and even sent one poor sap to the fiery depths. This is what awaits Shane McMahon at Wrestlemania. No wonder he’s training so hard. WWF Bad Blood, October 5, 1997. Leave it to these two to set the bar impossibly high right off the bat. This match has a special place in the hearts of fans for a variety of reasons. It was the very first Hell in a Cell Match, obviously. The finish famously saw the debut of Kane. But as far as the body of the match is concerned, Undertaker and Shawn had great chemistry, as they seemingly always have. They played that cat and mouse game in the cage really well. 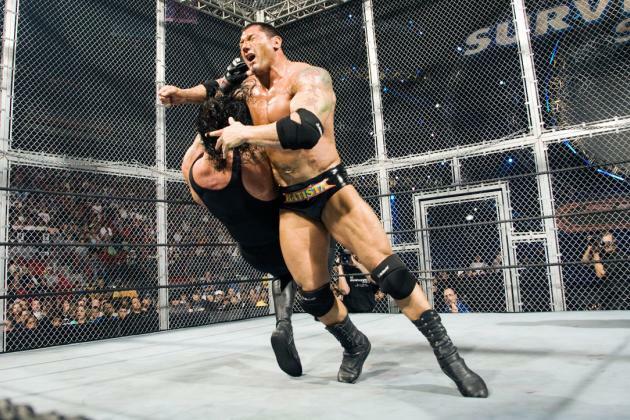 This match also marked the first time ‘Taker would throw someone over his shoulder and ram them head-first into the cage, as he’s done in various cell matches since. He also hit Shawn right in the head with one of the hardest, loudest chair shots I’ve ever seen. And of course, you have Shawn’s famous fall through the announce table while hanging off the cage. One can argue this match set the bar too high for these cell matches, considering what Mick Foley would do less than a year later. But you can’t deny the entertainment value of this confrontation. Shawn and ‘Taker took what started off as an experimental take on a cage match, and turned it into an instant box office attraction. As most of us know, ‘Taker lost after Kane’s interference. 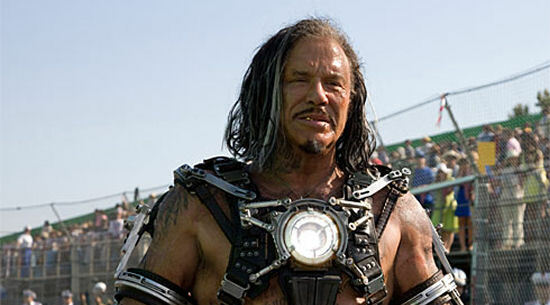 But needless to say, he’d get plenty of chances to redeem himself in that cage. WWF King of the Ring, June 28, 1998. It’s the stuff of legends. While it’s one of the scariest matches WWE has ever put on, it’s also the match that has become synonymous with Hell in a Cell. In many ways, it defined Mick Foley’s career. Most of us know it by now: A fall off the cage, a fall through the cage, two bumps into thumbtacks, and a Tombstone Piledriver. It’s the kind of match you’d never see today, and quite frankly that’s a good thing. No one should have to put themselves through this sort of thing for the sake of entertainment. Still, the match has an undeniable magic about it. While you can’t overlook the sheer violence of it, it told an amazing story about a man’s refusal to surrender. For better or worse, Mick Foley made himself into a legend with this match. Wrestlemania XV, March 28, 1999. This one’s better off forgotten, quite frankly. There was no way these two were going to live up to ‘Taker’s matches with Shawn or Foley. I’d have gone with something different. Both ‘Taker and Bossman were heels. But they were doing a story where ‘Taker was trying to play mind games with Vince McMahon, and Bossman was sent in as his enforcer. It was an odd story to tell, considering Vince was still the company’s top heel at the time. 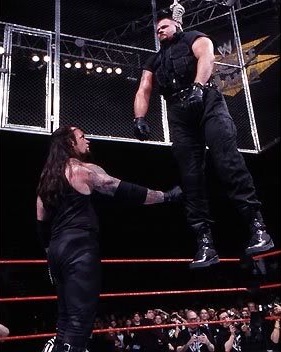 The second is the post-match image of a defeated Bossman being hung from the raised cell. Considering the real-life Ray Traylor is no longer with us, it’s uncomfortable to see. WWF Armageddon. December 10, 2000. Now this is how you end a year. Toss most of your top stars in a cage and let ’em fight for the title! One can argue this match was a precursor to the Elimination Chamber. Though no chamber match has ever been as good as this. The match featured Kurt Angle defending the title against The Undertaker, Stone Cold Steve Austin, The Rock, Triple H, and Rikishi. Angle eventually pinned The Rock to win. But the moment everyone remembers from this match once again involves ‘Taker once again sending someone for a great fall off the cage. This time, Rikishi was the victim. Prior to the match, Vince McMahon had attempted to stop the proceedings by driving a demolition truck into the arena. The bed of the truck would later be used as a landing site for Rikishi, when Undertaker pushed him off the top of the cage. It was choreographed to look like a chokeslam, but he pushed him. The sight of a 400 lb man falling from that height certainly sticks in your mind. WWE No Mercy. October 20, 2002. One can make a solid argument for this being ‘Taker and Brock’s toughest, nastiest battle. It was certainly their bloodiest. 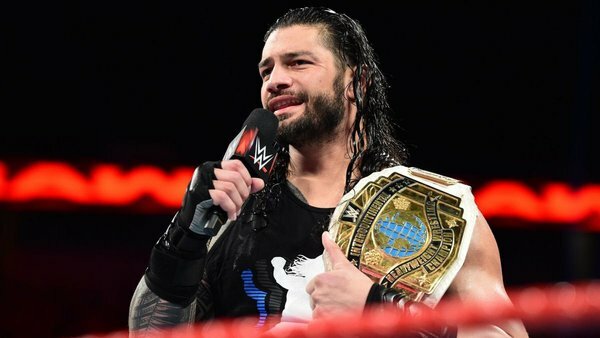 WhatCulture.com recently called this match one of WWE’s bloodiest of all time. This was during the era when Paul Heyman was writing Smackdown, so it’s not surprising that this story had a lot going on. What’s more, Heyman was still managing Brock at this point. ‘Taker’s then-pregnant wife Sara had been used to put heat on Brock and Paul, and make things personal. What’s more, Brock had (kayfabe) broken Undertaker’s hand, which weakened the Dead Man during the match. 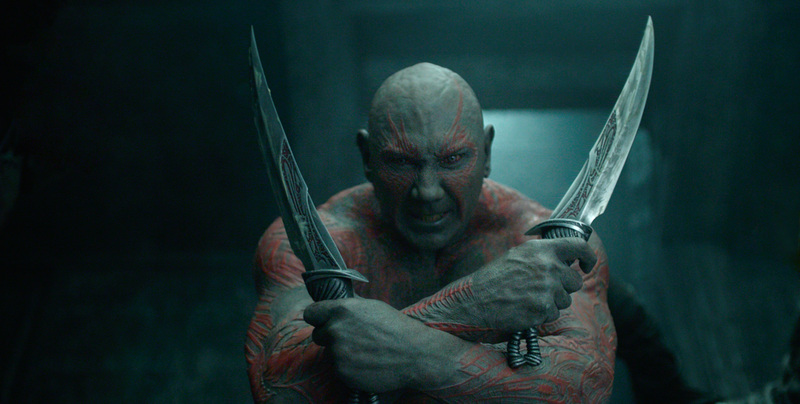 But on the flip side, ‘Taker was allowed to use the cast as a weapon. With its sheer violence and bloodshed, this match was one of the earliest to illustrate that Hell in a Cell Matches didn’t have to be about stunts on top of the cage. With the right wrestlers, the really twisted stuff happens inside those walls. While ‘Taker put up as valiant an effort as ever, Brock emerged victorious. Bloody, but victorious. WWE Armageddon. December 18, 2005. This was a culmination of a year-long program between The Undertaker and Randy Orton. On paper it’s a tremendous main event. But this was the first cell match I can remember seeing and simply going: “Meh.” It was by no means a bad match. But it lacked a certain special something that we’d come to expect from Undertaker’s matches inside the cell. Still, it had its share of good imagery. Orton was bloodied early on, and there were some nice shots of him getting raked against the cage, and crawling on the mat outside the ring. While it’s not always a thrilling match, it is a nice reminder of just how good Orton was in the early stages of his career. We also had “Cowboy” Bob Orton out there with his son, which added a little garnish to things. A good match, which Undertaker won with the Tombstone. But it lacks a certain something to be called one of his best in the cage. WWE Survivor Series. November 18, 2007. As was the case with Orton, Undertaker had been working with Batista on and off since Wrestlemania. 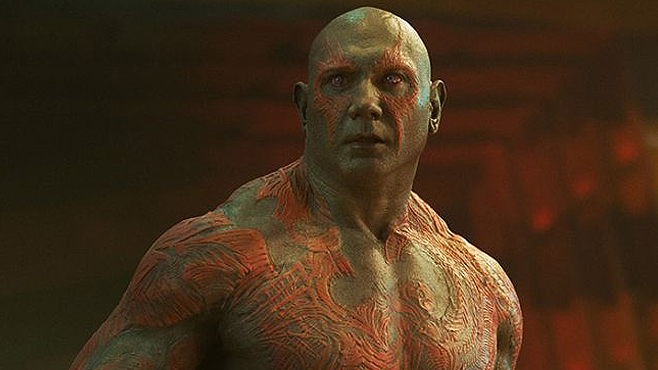 But Batista had better chemistry with ‘Taker than I think anyone expected. They were able to being out the best in each other. They stole the show at Wrestlemania XXIII in Detroit, and had been having consistently good matches since. This was essentially their blow-off. WWE Summerslam. August 17, 2008. Undertaker and Edge had done quite a bit leading up to this one. They’d main evented Wrestlemania, they’d had a TLC Match, and now they were trying to cap it off inside the cell. And to their credit, they did just that. In terms of WWE-style brawls, this match had almost everything. They wasted little time getting to the weapons and chaos. We had steel ring steps, we had a table, we had a chair, and eventually two ladders were introduced. This was almost a hybrid Hell in a Cell/TLC Match. And we saw that vicious heel side to Edge that had emerged since he’d started his now legendary heel run. He even speared Undertaker through the cage wall, and the action spilled on to the outside. Years later, Edge would reveal on Talk is Jericho that he’d wanted to take a Tombstone on top of the cage. WWE Hell in a Cell. October 4, 2009. The first Hell in a Cell pay per view featured an eye-rolling three cell matches. Undertaker and Punk were up first, in what wound up being one of the shorter cell matches ‘Taker has ever been in. Still, ‘Taker wound up winning the World Heavyweight Title from Punk that night after a Tombstone. So for Undertaker fans, the result wasn’t something to gripe about. WWE Hell in a Cell. October 3, 2010. This is another one of those matches that on paper is fantastic, especially if you’re an Undertaker fan. You’ve got Kane defending the World Heavyweight Title against his brother, who has Paul Bearer back in his corner. 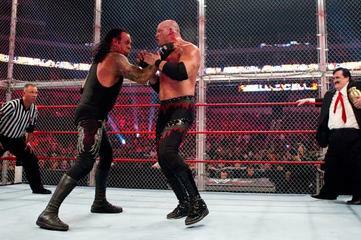 They’re in a match The Undertaker made famous, and Kane made his debut. They’re free to do just about anything to each other. The pieces are in place for an epic confrontation. There was nothing epic about this match. I take no joy in saying that. But this match is a big part of the reason people aren’t clamoring for one last Undertaker/Kane match. These guys were slower than molasses, and in the end just…sad. I’ll give them credit for one thing, though. The finish saw Paul Bearer turn on The Undertaker for what he did to him several years prior in a “Con Crete Crypt Match.” WWE pays attention to continuity when they want to, and in this instance it paid off. 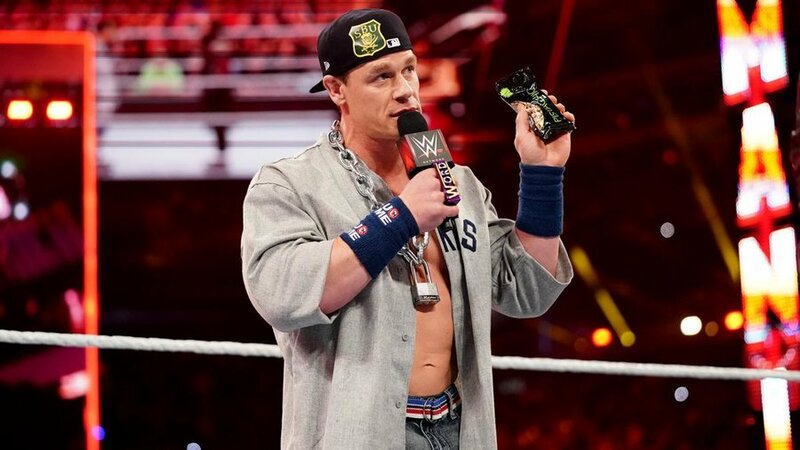 It’s just too bad the match didn’t deliver. Wrestlemania XXVIII. April 1, 2012. This match was billed as “The End of an Era.” But they could just as easily have called it the Hell in a Cell All-Star Game. The only person who might be considered as synonymous with the cell as The Undertaker is Triple H. Now they were facing off in the cage, with the other pioneer of the cell, Shawn Michaels, as the guest referee. These three simply being in the ring together had an epic quality to it. What’s more, this was ‘Taker’s 20th appearance at Wrestlemania, and the finale of a story they’d been telling at the previous three Wrestlemania events with these iconic stars. To their credit, they made us believe Undertaker’s Wrestlemania streak was truly in jeopardy. Triple H used the steel ring steps, a chair, and his trademark sledgehammer on the Dead Man. But the one spot that really sticks out in this match is the one where Shawn superkicks ‘Taker, sending him straight into a Pedigree from Triple H. When ‘Taker kicks out, Shawn looks absolutely terrified, as if he’s just witnessed something supernatural. He’s one of the best actors the business has ever seen. 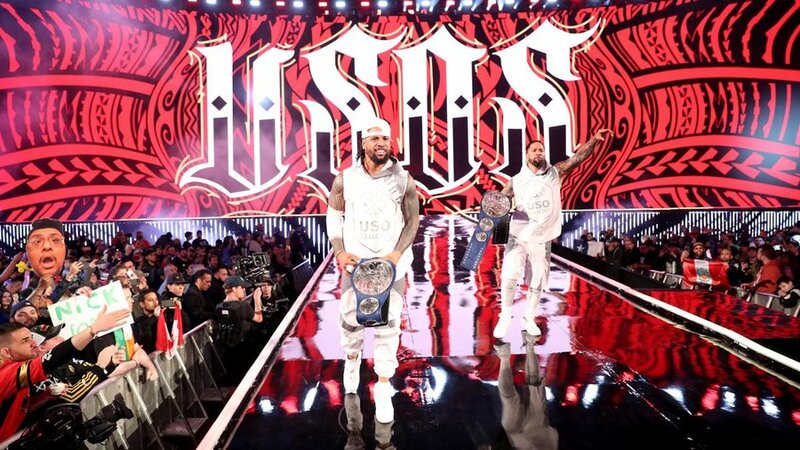 And of course, after ‘Taker’s win, the three of them walked up the ramp together, bringing tears to the eyes of many a fan who grew up watching them perform. What a match, and what a moment in Wrestlemania history. WWE Hell in a Cell. October 25, 2015. Over 18 years after his first cell match, I’m amazed ‘Taker is still having these matches, much less against somebody like Brock Lesnar. But low and behold, there he was. And they even surprised us by getting some color. More than anything, I remember just how snug these guys were in this match. Lesnar in particular was just beating the crap out of ‘Taker. And early in the match he hits him with a chair shot that’s pretty stiff. Midway through the match, Brock rips up the canvas and padding on the ring, exposing the wood underneath. That’s something we hardly ever see, and it’s a unique sight to be certain. They played it up, as ‘Taker gave Brock a chokeslam and a Tombstone on it. But in the end, they tied this story up nicely with a bow, as Brock gave ‘Taker a dose of his own medicine. The Dead Man had been gaining unfair advantages over Brock for months by hitting low blows. But on this night, Brock hit ‘Taker below the belt, got an F5 on the exposed wood, and the pin. Not the best Hell in a Cell Match by any means, but it gets points for being hard-hitting. Images 1 and 3 from ringthedamnbell.blogspot.com. Image 2 from prowrestling.wikia.com. Image 4 from natureinyourhand.blogspot.com. Images 5, 6, 11 and 12 from wwe.com. Image 7 from pwpnation.com. Image 8 from mediaspo0rt.com. Images 9 and 10 from bleacherreport.com. 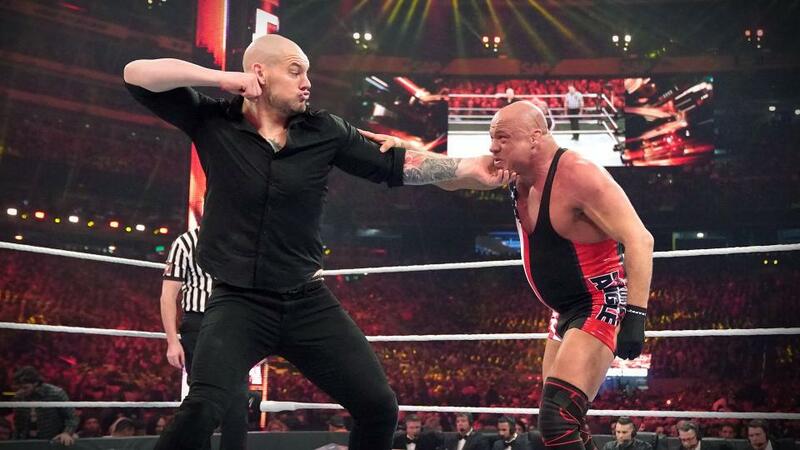 This entry was posted in Uncategorized and tagged Batista, Big Bossman, Brock Lesnar, CM Punk, Dave Bautista, Edge (WWE), Hell in a Cell, Kane (WWE), Mankind (WWE), Michael Cole, Mick Foley, Mick Foley Hell in a Cell, Paul Bearer, Paul Heyman, pro wrestling, professional wrestling, Randy Orton, Rikishi, Rob Siebert, Shane McMahon, Shawn Michaels, Shawn Michaels Undertaker hell in a cell, The Undertaker, The Undertaker vs. Brock Lesnar, Wrestlemania XV, Wrestlemania XXVII, Wrestlemania XXXII, WWE Armageddon, WWE Armageddon 2005, WWE Hell in a Cell, WWE Hell in a Cell 2009, WWE Hell in a Cell 2010, WWE Hell in a Cell 2015, WWE No Mercy, WWE No Mercy 2002, WWE Summerslam, WWE Summerslam 2008, WWE Survivor Series, WWE Survivor Series 2007 on 03/02/2016 by primaryignition.